The first BluPonix products are ramping for production now. While the current Adosia team has a proven ability to bring new and innovative hardware products to market, we are actively working to expand our executive team as we move into this new and exciting phase of our business. Adosia has always maintained an extremely lean operation, and we very much look forward to scaling our hyper-agile operational tactics as new capital opportunities permit. While we definitely have management gaps to fill, our collective team entails no shortage of expertise. The ADO token will help us accomplish our goals on a faster timeline, while also creating new distributed ledger opportunities to pursue in the cryptocurrency / blockchain space. This page will be updated regularly. 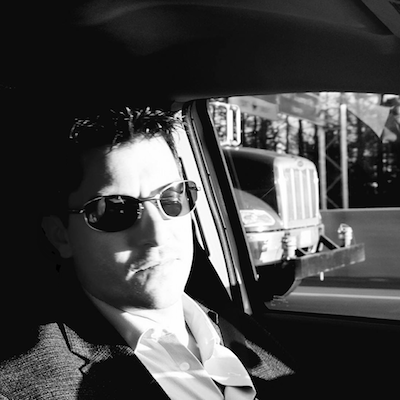 Stefan is a software expert and entrepreneur, a visionary technologist, and owner of SWEC Software. Stefan is an amazing software architect having extensive experience with developing cutting edge home-automation solutions across Linux, embedded, mobile and web environments. 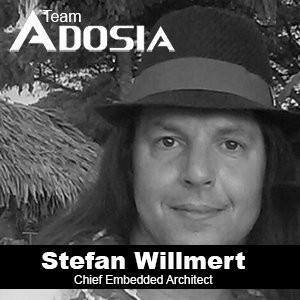 Through his career Stefan has helped numerous companies including Microsoft, Blockbuster and eTrade, and is contributes heavily to derivation, specification and realization of the products outlined across Adosia's IoT Roadmap. Chris is a veteran Hardware Engineer with 18 years of experience in electrical and hardware circuit design. A portion of Chris's designs, productions and ingenuities have found their way into spaces like autonomous aircraft used by the US Military, Tom Petty's live performance rig, award winning custom motorcycle builds, internationally distributed magazines like Model Aviation and platinum records hanging on the walls of recording Studios. With a multi-faceted background, he has left his mark in multiple industries. 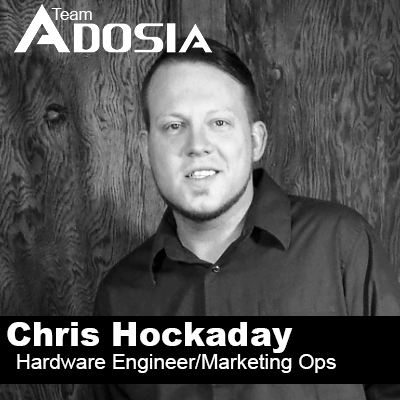 With specialties in automation, electrical engineering and marketing, Chris is ironed to Adosia - a project that fulfills all of of his passions and interests. Chris is also an avid gardener with an involvement in cryptography, dating back to 2014. A problem solver and proponent of thinking, Chris aims to bring his passions and experience to tackle the future of IoT, decentralization, education and blockchain based innovations and initiatives. Fedelyn is the Assistant Director of Sales for all Adosia product lines. She personally manages inbound premium sales leads while distributing lesser leads to a managed downstream as appropriate. Fedelyn is also an avid graphic designer and video production editor, and contributes additional skills to the team as needed. After spending nearly a decade working in Graphic Design for companies such as US Airways, American Airlines, ISM, TBM Inc., and Adosia, her long-time experience with the Adobe Suite, paired with a passionate ambition, allows her to bring a fresh set of ideas and skills into the Adosia team. 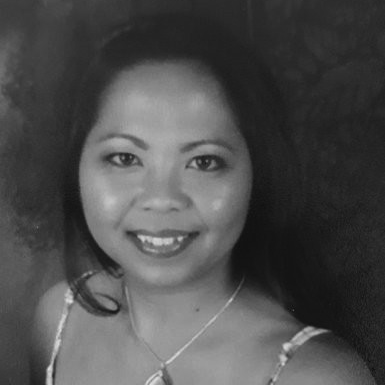 Fedelyn holds a BA in mass communications and film production from Arizona State University. Melissa has worked inside sales supporting prominent manufacturers including Intel Corp, Texas Instruments, Analog Devices, Marvell, Cypress and Sony. Having worked together with Kyle for the entirely of his professional career, Melissa has been key in adapting Adosia internal infrastructure to best accommodate Kyle's leadership style and abilities. With an exceptional background in inside sales within the semiconductor industry, Melissa also provides and invaluable expertise in regards to establishing systems for component tracking, management & POS.